Delta makes installation a breeze for the weekend DIYer by including all mounting hardware and easy-to-understand installation instructions. You can install with confidence, knowing that Delta backs its bath hardware with a Lifetime Limited Warranty. Bring the essence of Art Deco to your bathroom with Revival accessories, which incorporate elliptical shapes and rolled edges inspired by classic 1920s design. At home in both traditional and contemporary bathrooms, this wall-mount brass dish keeps soap within easy reach. Simplified form and detail embody the pared-down approach of this Stillness soap dish. Streamlined elements and minimal design lend aesthetic functionality to a subtle dicor, while clean angles and quiet lines calm a spa or retreat environment. Tools are included to simplify installation. Also available in store by special order only see store for details. 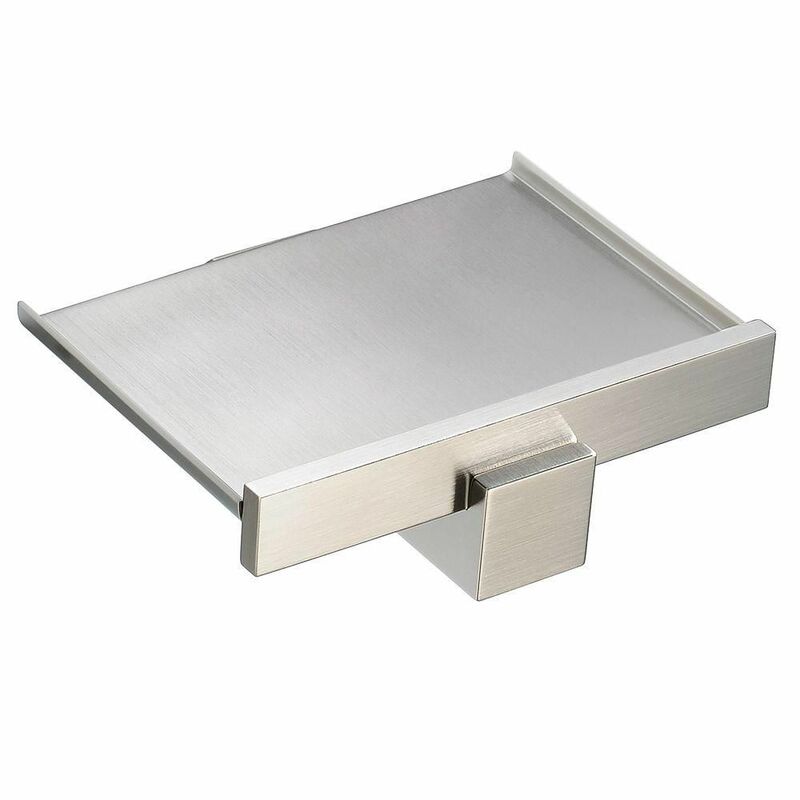 Elite Wall Mount Soap Dish - Brushed Nickel All of our Fresca bathroom accessories are made with brass with a triple brushed nickel finish and have been chosen to compliment our other line of products including our vanities, faucets, shower panels and toilets. They are imported and selected for their modern, cutting edge designs. Elite Wall Mount Soap Dish - Brushed Nickel is rated 5.0 out of 5 by 2. Rated 5 out of 5 by Sandro from Very good product ,very very happy with it. Very good product ,very very happy with it.